Our Capabilities in Powder Metallurgy. Our custom-engineered processes allow for highly efficient material use & near-net-shape dimensional control. 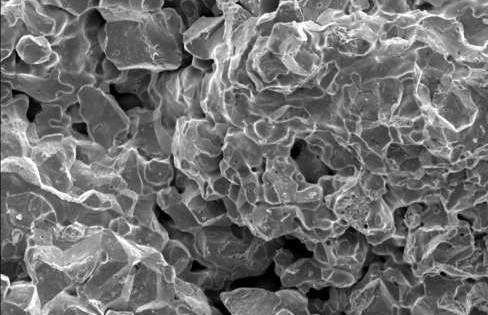 Powder metallurgy like you've never seen before. Our custom-engineered processes allow for highly efficient material use & near-net-shape dimensional control. The less material you waste, the lower your total costs will be. We also reduce your costs with our unique sintering furnaces designed so you no longer need to wait on (or pay for) expensive post-sinter heat treating. After your part runs the gauntlet, it goes through a full range of metallurgical testing and analyses. These quality control methods also provide insight for future process optimization. 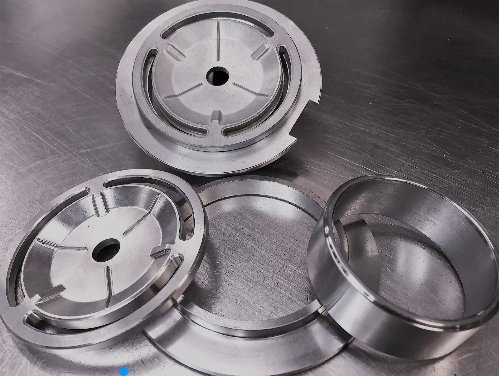 Our presses, capable of producing parts requiring up to 550 tons, along with our unique processes, can achieve up to 7.5 g/cc density for your powder metal components. Your sintered metal parts can be heated to 2400°F (most manufacturers only go up to 2100°F). Finally, they’re cooled rapidly to retain all the beneficial properties of heat treating without additional processing. 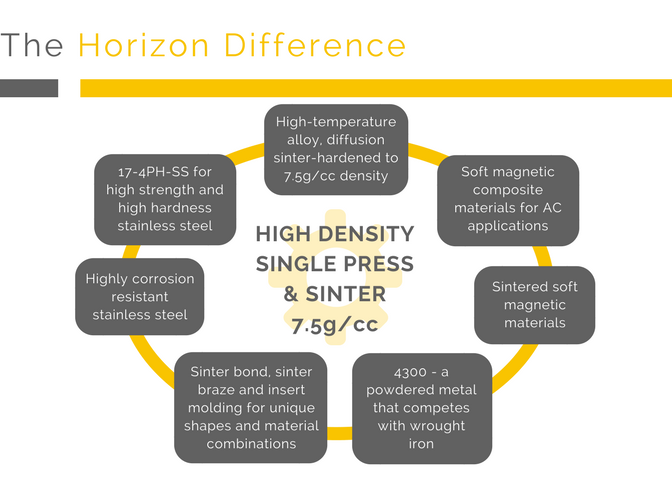 Horizon-produced powder metal components are known for blazing new trails in the industry. 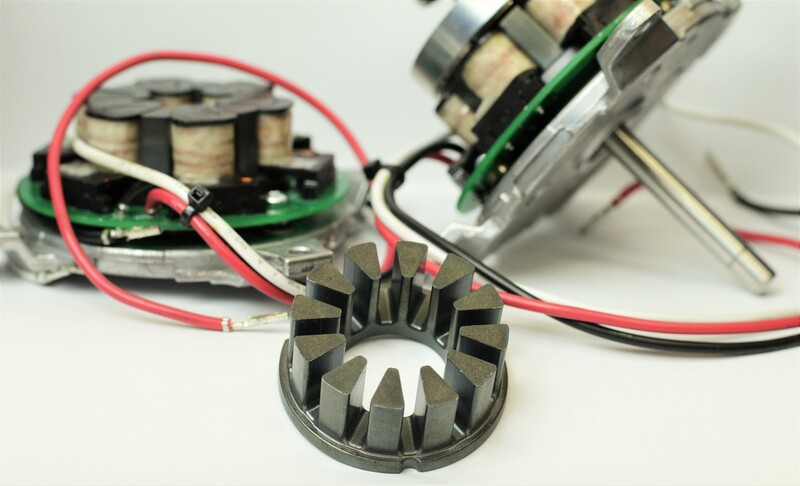 Our advanced materials systems increase your part’s density and achieve the highest mechanical properties possible. Your product is manufactured with highly accurate controls and continuous process monitoring. That means fewer wasted runs, more product per material volume, and tighter tolerances. This is all thanks to the materials we use, and the pressure and temperature capabilities of our equipment. Click here to view our ISO 9001:2015 certification. Click here to learn more about Plex systems.